There are many individuals with the ideas, passion, and entrepreneurial skills to bring about long-lasting solutions to the social problems India faces today. However, they have difficulties starting up a social venture, because there is a gap in the support and capital offered to them in this early-stage. 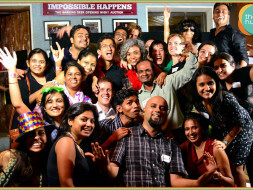 As part of the Mumbai Marathon, UnLtd India will run the DreamRun to raise money for these amazing individuals! UnLtd India exists to be a launch pad for start-up social entrepreneurs in India. We find, fund and support exceptional individuals to enable them to develop as leaders, start-up sustainable, high-impact initiatives, and prepares their fledgling organisations for growth. We work with social entrepreneurs, typically in years 0-4 of their venture’s lifecycle, by providing (a) seed funding, (b) hands-on support covering business and financial planning, fundraising, legal structures, governance, marketing and HR and (c) high-value connections linking our entrepreneurs with peers, subject-matter experts, and further funders or investors. Since 2007, UnLtd India has supported 150+ entrepreneurs (‘investees’) tackling pressing problems in education, health, livelihoods, women's rights, sanitation, technology, financial inclusion and other issues. An external evaluation found that our investees had reached more than 800,000 beneficiaries, created 4000+ jobs and had raised additional funding of INR 14.5 for every rupee invested in them by us. We have built a community of 70+ individuals comprising of social entrepreneurs, entrepreneurs, senior and mid-level leadership within the private sector, who provide pro-bono support to our investees. And we are now recognised as a pioneering organisation that creates a consistent pipeline of new leaders and ventures. Our programs are supported by individuals, corporates and foundations, like Actis, Karl-Johann Persson, GIZ, IEIF, Marshall Foundation and Edmond de Rothschild Foundations. Thanks to their support we are able to support our amazing investees who are changing India for the better. Your donation is a highly leveraged way to bring about social change in India.